ICID, under its policy to extend its knowledge dissemination wider, conducts regular Webinar Services for its members in particular and wider irrigation and drainage community in general. The Webinar is being divided into two series, namely, ‘Professional Series’ delivered by renowned water experts with 10+ years of experience and ‘Young Professional Series’ provided by young professionals in the water sector, particularly working on agricultural water management (AWM) and other related topics. The webinar on ‘Seamless Climate Service and Downscaling for Climate Change Adaptation’is the 8th webinar in the professional series and 10th webinar of ICID. Agricultural water resources supplied through agricultural facilities including reservoirs are vulnerable to drought and it is necessary to forecast the drought situation in the future for establishing drought measures based on current situation. Thus, information on seasonal forecast is of utmost importance, in this context, especially in the current scenario of climate change. The seasonal forecast information with several months lead time which consists of information on the water resources, especially the variations in the context of climate change, has a direct relationship with the water resources management of that region. This webinar focuses on climate change adaptation for water resources based-on multi-range climate information including sub-seasonal to seasonal (S2S), seasonal forecast, and climate change scenarios. The framework consists of multi-range climate prediction data and corresponding downscaling method. APCC Integrated Modelling Solution (AIMS) is developed to downscale climate information and apply various models used in the application field to produce information for the decision-making process. User-oriented downscaling of climate change scenario through the latest version of AIMS will be finally introduced. AIMS can be downloaded from the AIMS Google Group (https://groups.google.com/forum/#!forum/apcc_aims). Currently, Dr. Jaepil Cho is working with the APEC Climate Centre as a team leader of Climate Application Team. APEC Climate Centre is a governmental institution which conducts research in the area of climate prediction, analysis and climate change application. Dr. Cho received his doctorate degree from Virginia Tech in 2007. 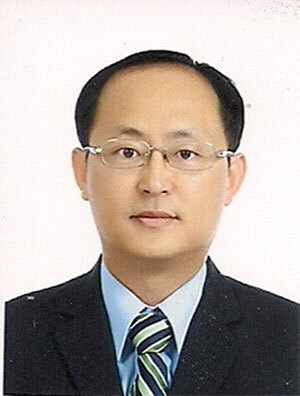 Dr. Cho also worked with the US Department of Agriculture (USDA)-Agricultural Research Services from the year 2007 to 2011 as a research associate.